Sleep Apnea Monitor Turned off or Ignored By Nursing Staff, Patient's Coding Goes Unnoticed. 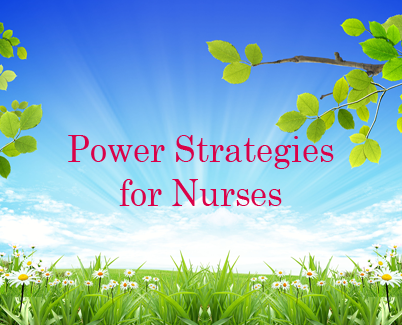 Monitors and Monitored patients present special challenges to practicing nurses. Like a call bell, when alarms on a monitor are activated, they can signal benign or life-threatening. . .
Paul Arnote's Respiratory Care Links:"Welcome to my page of Respiratory Care links. I am a Registered Respiratory Therapist, and an instructor at the Kansas City campus of Concorde Career College. I also work PRN (quite regularly) at an area Kansas City hospital. Below you will find a plethora of links related to the field of Respiratory Care. I am placing these here not only for the benefit of my students, but all RTs, both in the Kansas City area and worldwide." Tobacco Free Nurses:"Together with QuitNet we have created a smoking cessation site tailored for nurses and nursing students who want to quit smoking. From this site you can freely access QuitNet's special Nurses section, where you'll find tools and resources you can use to help quit smoking, scientific guides about quitting, expert counselors available to take your questions, and most importantly, other nurses like you who want to quit! Click here to go to our QuitNet entry page and take advantage of your membership sponsored by the Tobacco Free Nurses project." Angela Halley RN, BSN, CLNC, River View Legal Nurse Consulting:"We specialize in providing legal nurse consulting services to attorneys (plaintiff and defense), insurance companies, workman's compensation firms, and individual institutions for risk management services. Our firm has over 20 years of nursing experience in psychiatric, labor and delivery, pulmonary, neurology, medical/surgical nursing, and many areas of nursing management. River View Legal Nurse Consultants provides a time efficient and cost effective answer to your legal nurse consulting needs." How Your Lungs Work by Craig C. Freudenrich, Ph.D., Howstuffworks.com:"You breathe in and out anywhere from 15 to 25 times per minute without even thinking about it. When you exercise, your breathing rate goes up -- again, without you thinking about it. You breathe so regularly that it is easy to take your lungs for granted. You can't even stop yourself from breathing if you try!" Management of Airway Emergencies, AARC Clinical Practice Guideline:"Management of airway emergencies (MAE) for the purpose of this guideline encompasses all care necessary to deal with sudden and often life-threatening events affecting natural and artificial airways and involves the identification, assessment, and treatment of patients in danger of losing or not being able to maintain an adequate airway, including the newborn. This includes (1) identification of the causes of airway emergencies; (2) management of airway emergencies prior to tracheal intubation; (3) use of adjunctive equipment and special techniques for establishing, maintaining, and monitoring effective ventilation; (4) translaryngeal tracheal intubation, including nasal and oral tracheal intubation; (5) transtracheal catheter ventilation, (6) percutaneous dilational cricothyrotomy, and; (7) surgical cricothyrotomy."